If you have a Xiaomi device and want to remove the Mi account, you need to know how to remove Xiaomi Mi account. We are familiar with the name, Mi. It is the third largest manufacturers of the mobile phone. The phone of this company is known as Xiaomi. It is a reliable phone with some amazing feature. The phones are android versions. To get the important Apps and cloud, you need a Mi account. You may want to remove the account and add the new one. For this purpose, there are some ways to remove the Mi account. 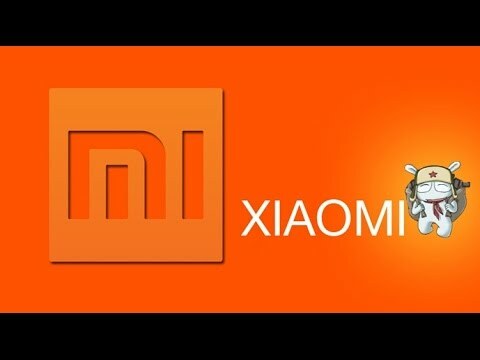 The Xiaomi Inc. China provides the Mi account. To use the services of Xiaomi device such as Mi themes download, phone lock service, Mi games, etc, you need the Mi account. If you want to sync data to the Mi cloud like your any files, photos, audio clips, notes, you need a Mi account. You will see that a normal android phone needs only a Gmail account to download apps and enjoy other services. But to do the same kinds of works, you need a Mi account. You also can use the Mi trash to recover your data. Xiaomi android devices contain some special features for the users. To enjoy the features, you need to open the Mi account. It is exceptional from the other android devices because other devices need only a Gmail account to enjoy any apps and features. Xiaomi devices have the Mi Mover apps by which you can transfer any data, files, apps or other things from your Xiaomi device to another device. Xiaomi android device gives the user a special file hiding facility by which you can hide the files with the highly encrypted format. You can also hide the photos from the photo albums with the Xiaomi devices. Xiaomi devices also provide you the Guest Mode service. If you want to protect your data from the child you will you the child lock. But if anyone who is very close to you takes your phone and ask password, you cannot avoid him. In this condition, Xiaomi devices provide you the app named Guest Mode which hides your messaging, data, call history from the guest user. So, to enjoy all the features and special apps on your Xiaomi device, a Mi account is needed. To use the Xiaomi android phone properly, you need to open a Mi account. It is very simple. Follow the steps to open the account. Open the Xiaomi browser and go to the option Mi Account Registration. There you will find two options, one is that you can create an account with the email ID and other is that without email ID you can open the account with the mobile number. Now fill the given form and after completing it, Xiaomi will give you a link on the mobile number or email. Click on the verification link in your email. That will confirm the Identity and your account is ready. It is important to know how to remove Xiaomi Mi account if you use the Xiaomi device. There are some ways to remove the Xiaomi Mi account. I am describing them bellow. You can use the flash tool to remove the Xiaomi Mi account permanently. To do this, you need the following to download. The steps to remove Xiaomi Mi account are given bellow. At first, download the firmware according to your Xiaomi android device’s model and made number. Now download the fast boot tool. Then extract the firmware and copy the firmware folder to the C drive. Extract the fast boot tool file and copy it to the firmware folder. Then connect your phone to the PC using the USB and keep your device into fast boot mode. You will find a file named flash_all.bat in the firmware folder. When you open the file, flashing will start. In this case, you can use the flasher to flash the firmware. After flashing, click hard reset Vol, then the power button. After that recover the data. You can also edit your Mi account when it is needed. You can change the name, email, password or security questions. To do the change, you need to go to the Mi account page. You will receive a verification massage before changing any detail you need. Without the phone verification, you are not able to change the details. So, set a recovery phone number. Info : This cannot be changed. This ID is automatically generated at the time of your registration. Info : This name will be displayed in MIUI's built-in apps, Mi Cloud, MiTalk Messenger. Info : This is your email ID to sign-in into MIUI forum or this Xiaomi account. It's also used to reset your password or request for new password in case you have forgotten it. NOTE : In certain cases it might happen that you may have registered yourself with your mobile number and not Email ID. In this case I strongly suggest you to add (Bind) your email and do not forget to verify it immediately. 4. Phone : (Your current active mobile number. You can change this too after verification). Info : Your phone number can also be used to sign-in or reset password just like your as email ID. NOTE : Your mobile number is very important element and should not be ignored. Many Xiaomi/Mi services on your phone are depended on this. Here too in certain cases it might happen that you may have registered yourself with your Email ID only and not your mobile number. In this case also I strongly suggest you to add (Bind) your mobile number and keep the phone with you while doing this because for security purpose Xiaomi server will send verification code to your mobile number for verification. Note : It's always better that your password should be of at least of 6 to 8 characters long including 1 symbol (@$#%) , 1 Capital alphabet (Upper Case), 1 small alphabets (lower case) and 1 number all these things can be used in any order. It's very important to bind you mobile number along with your email ID to your Xiaomi account. There could be many untapped or unknown reasons/circumstance when you need them. Most importantly both of them provides good security and support from Xiaomi. Also, both the information is required for deleting your Old/Inactive/Active account. Now you know how to remove Xiaomi Mi account. It is not so hard. You can follow the process to remove the old Xiaomi Mi account and create the new one. You cannot enjoy the Xiaomi device with full enjoyment without a Xiaomi Mi account.